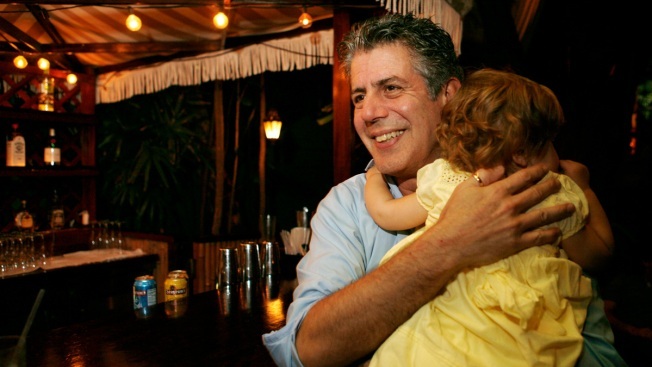 In this Nov. 12, 2008 file photo, Chef Anthony Bourdain holds his daughter Ariane in Miami Beach. Court papers show that Bourdain was worth $1.2 million when he died last month. Most of the estate has been left to his daughter, who is now 11-years-old. 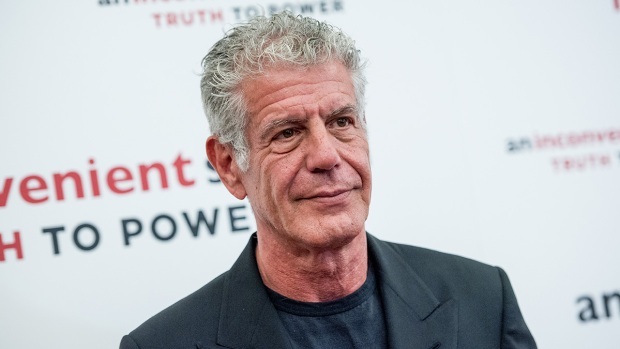 Bourdain was found dead June 8 in an apparent suicide in his French hotel room while working on his CNN series "Parts Unknown." Globe-trotting chef, author and TV host Anthony Bourdain was worth $1.2 million when he died last month and left most of the estate to his 11-year-old daughter, according to court papers filed this week in New York. Jonas Never paid tribute to the late chef-turned-TV host with a large mural on the side of the Gramercy bar in Los Angeles. Never talks about the importance of his new portrait and his experience painting in Los Angeles over the years. Bourdain wrote his last will and testament in December 2016 and named wife, Ottavia Busia-Bourdain, as executor. By that time, the two had already announced they were separated but said they were still friends. The court will appoint a guardian ad litem to represent their daughter Ariane's interests because she's a minor. Bourdain was an irreverent and sometimes foul-mouthed presence on TV shows starting with "A Cook's Tour" on the Food Network.